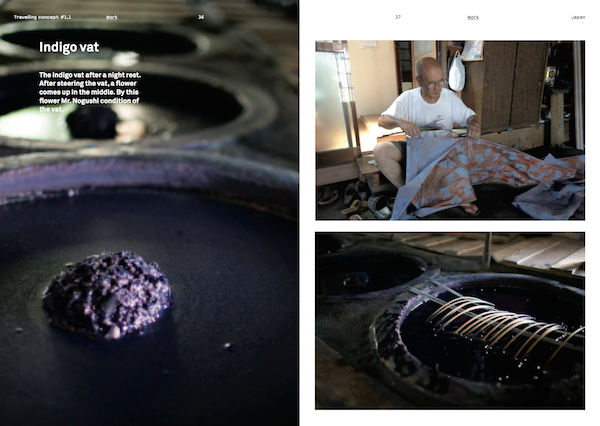 Study trip to Japan to learn about the technique katazome and make a textile for a yukata (summer kimono). 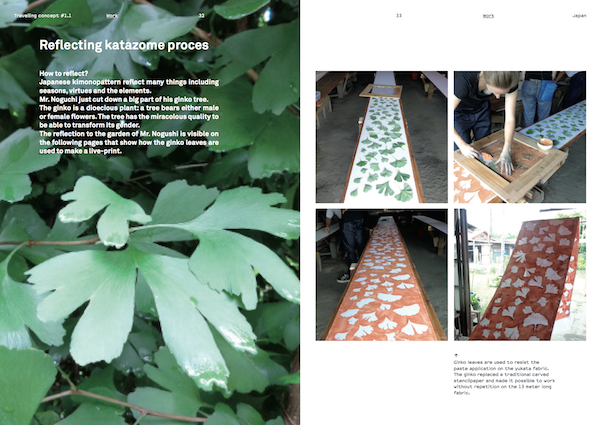 Katazome (型染め) is a Japanese method of dyeing fabrics using a resist paste applied through a stencil. 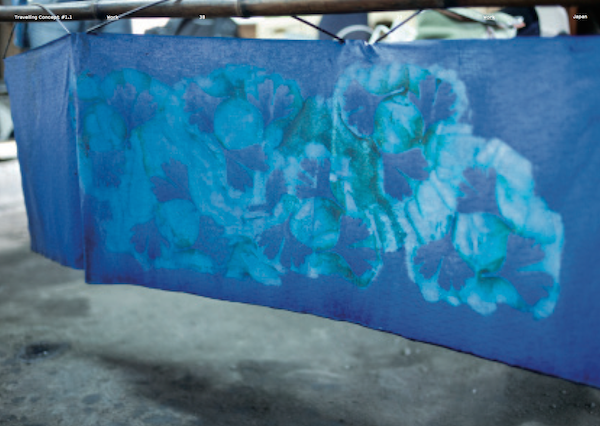 With this kind of resist dyeing, arice flour mixture is applied using a brush or a tool such as a palette knife. 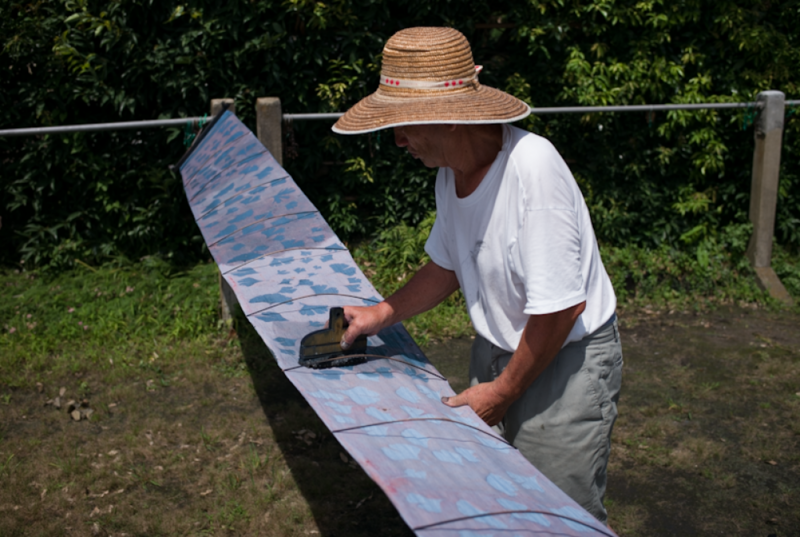 Pigment is added by hand-painting, immersion or both. 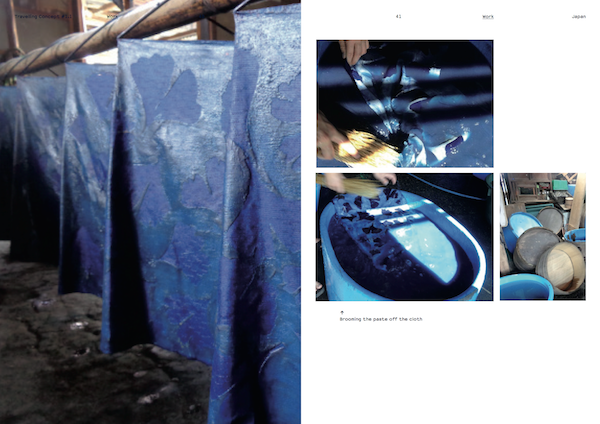 Where the paste mixture covers and permeates the cloth, dye applied later will not penetrate. 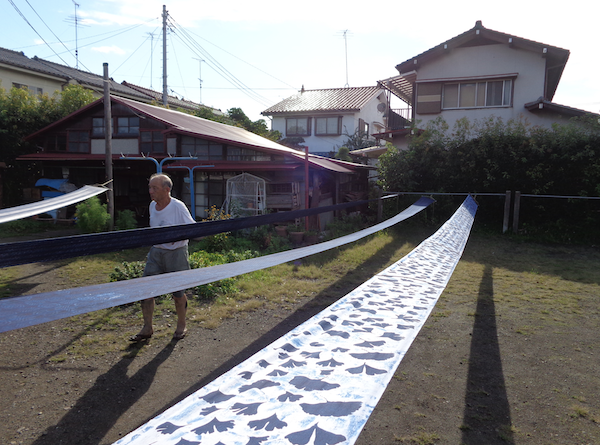 At Mr. Noguchi I learned the skills of traditional katazome printing. 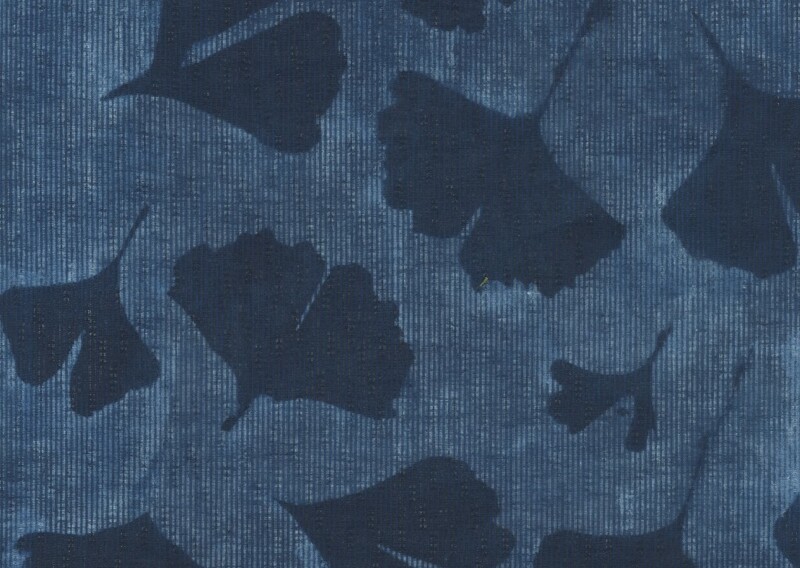 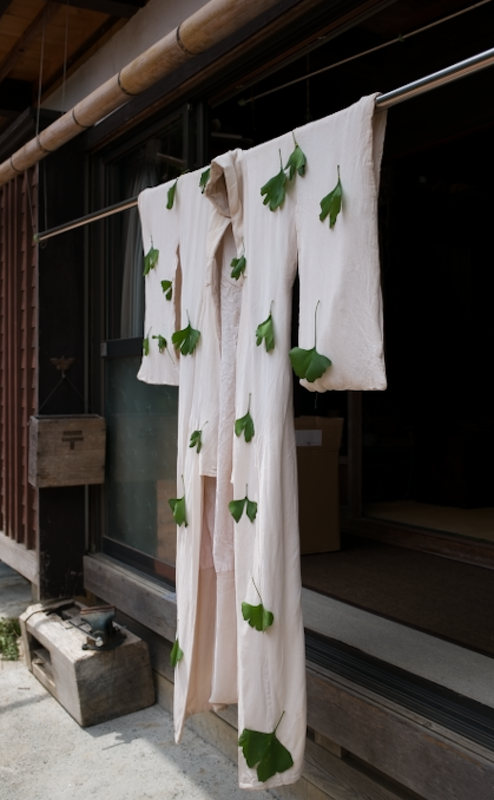 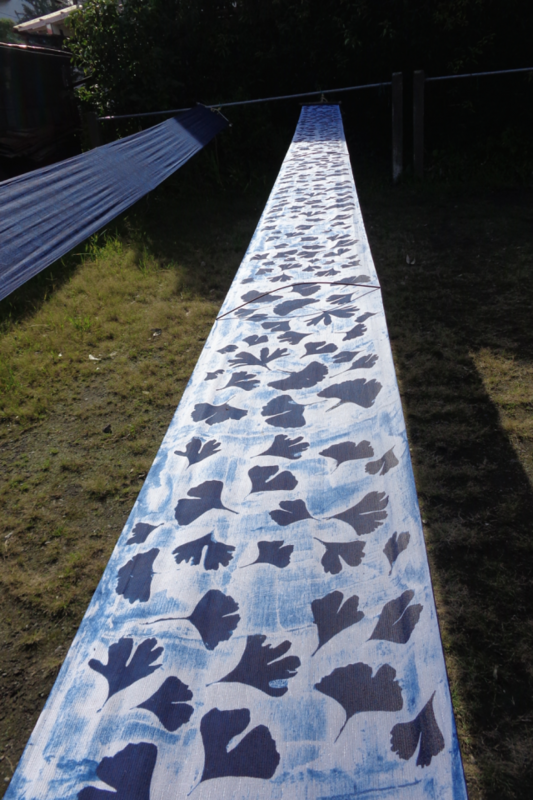 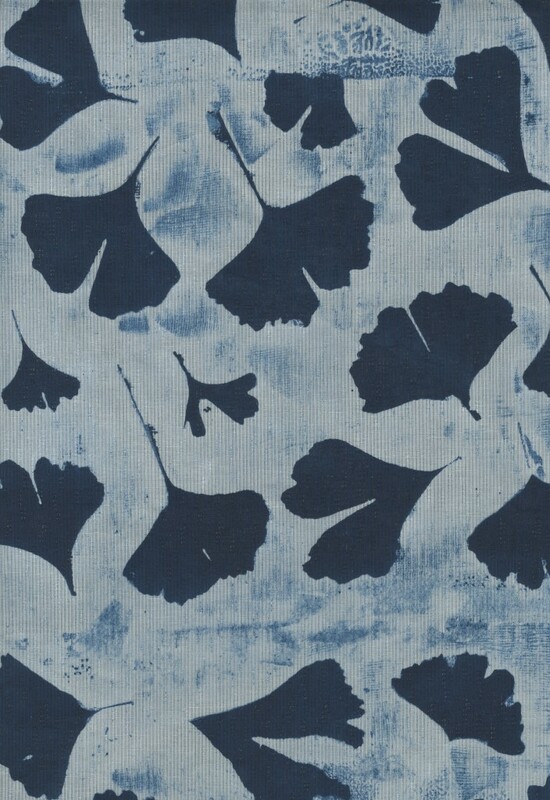 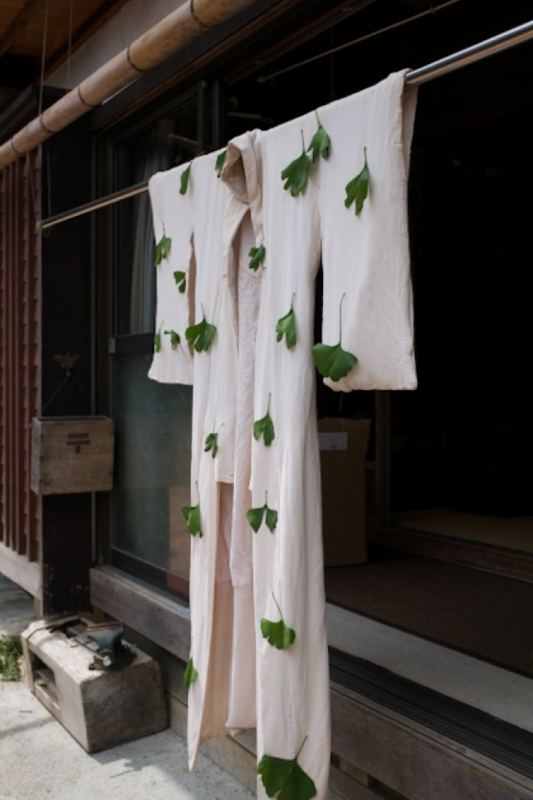 In the last days we made our own yukuta fabric for which I used a contemporary approach to make an all over imprint of ginkgo leaves. 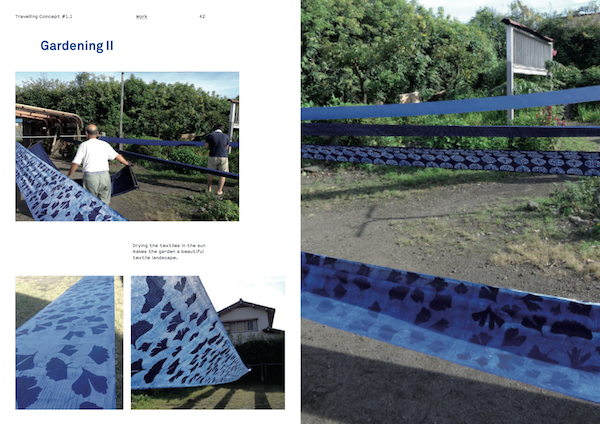 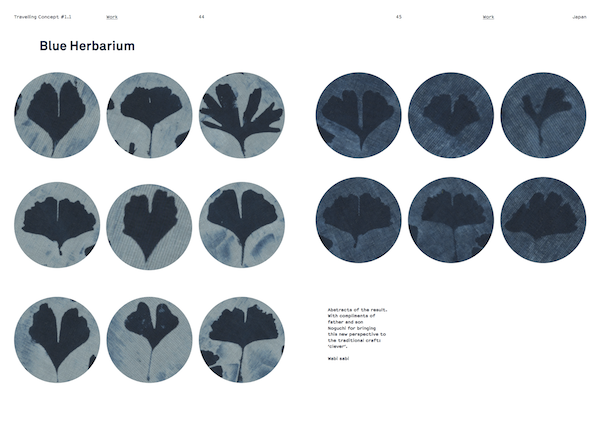 Below a selection of pages of publication Traveling Concept #1.1 — Ame no michi* about the study trip. 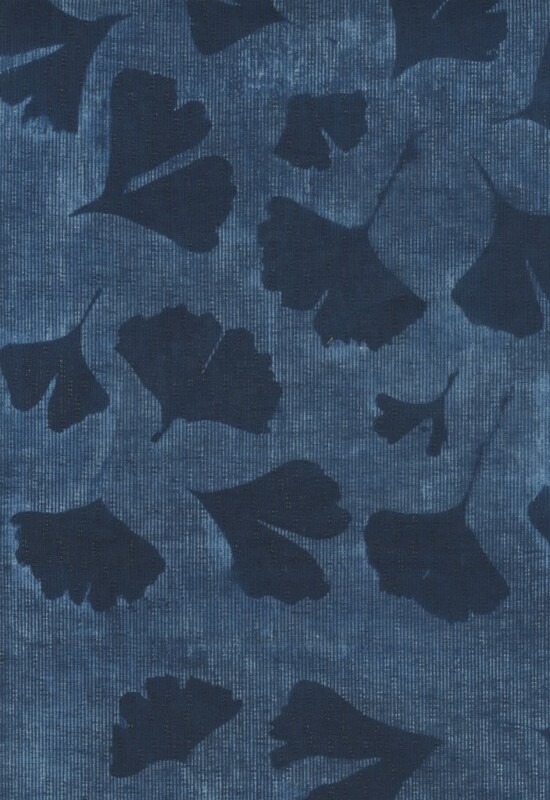 Click here to read the whole book. 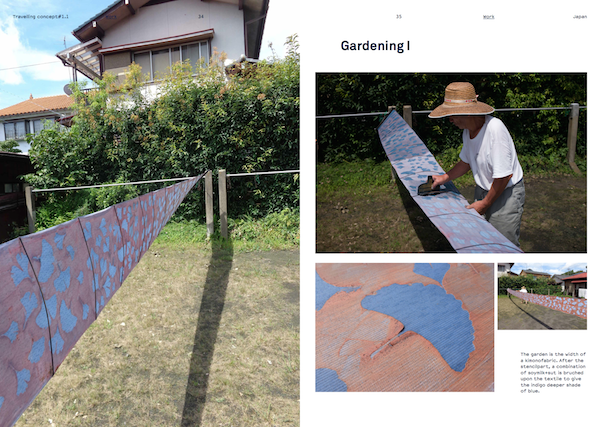 Thanks to Mr Noguchi and son, Bryan Whithead, Hiro, Kim Dror, Dillon Perry and Minyi Leong for the super great time in Fujino and around.